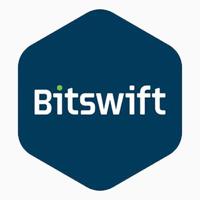 Bitswift, SWIFT, has been in the crypto world since 5th Oct, 2014 and runs without requiring a reserve bank or single administration. It is not a mineable decentralized digital coin, so in order to get SWIFT, you are able to purchase them via a currency exchange. It uses the proof of work and proof of stake (pow/pos) consensus and the Scrypt algorithm. To stay up to date with Bitswift, they can be found on Facebook. We don't have any wallets listed for Bitswift yet, check back soon! We don't have any debit cards listed for Bitswift (BITS) yet, check back soon! We don't have any price charts listed for Bitswift yet, check back soon!